GREENVILLE, SC—In response to the presidential candidate’s unsatisfactory answer to a question about the economic effects of environmental regulations, Koch Industries CEO Charles Koch reportedly ordered a sniper positioned in the rafters of the Greenville Peace Center to fire a warning shot near Marco Rubio’s podium during Saturday’s Republican debate. 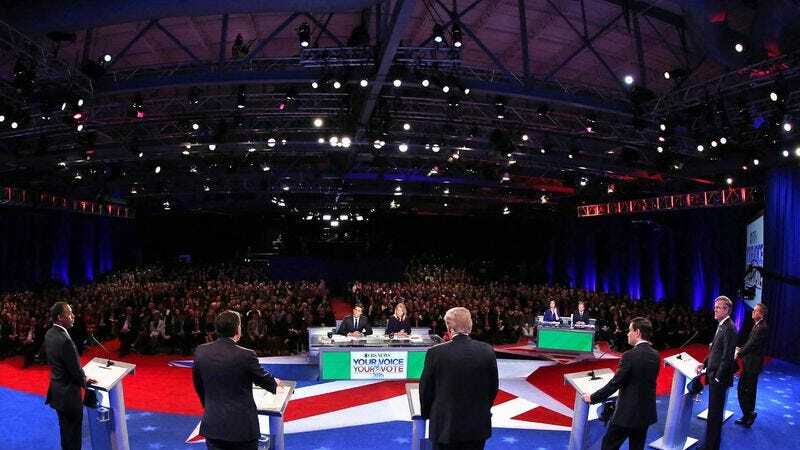 “Alpha Unit, get him back on message,” said Koch, speaking through a portable two-way radio transceiver to the black-clad marksman, who fired a single round from his Remington 700 sniper rifle that whizzed past the Florida senator and into the debate stage floor several feet from where he was standing. “He still hasn’t stopped talking about alternative energy sources. Take another shot closer to his podium.” At press time, Rubio was delivering a 30-second rebuttal with a glowing red dot on his forehead.